How the passion of travel photography turned into a full time business. 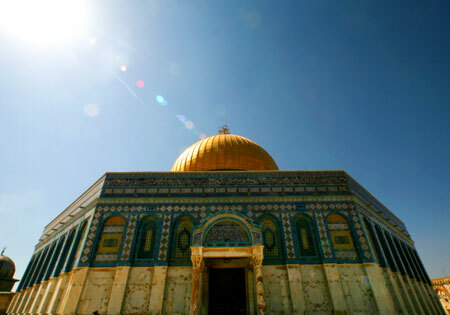 It all started with a hired trip to Israel to capture the essence of the country and the old city of Jerusalem. I carried the typical black nylon camera bag that announced the fact that I had a valuable camera on my person. 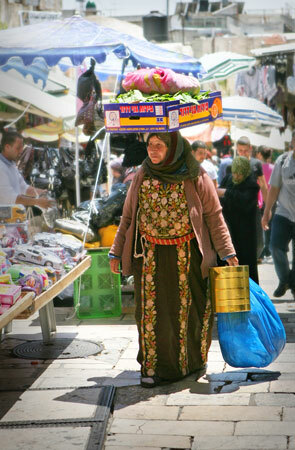 There were some areas of the city and countryside where I felt I should be a little more discreet with my camera gear. So I packed a plain duffle bag with a hotel towel wrapped around my expensive camera and lenses. I was worried about dropping the bag or knocking it up against a wall and damaging my gear, but I would rather have the plain duffle that have a typical looking, labeled camera bag. When I returned home from that trip, I turned in my photography and was laid off by the company that I worked for due to bad economic times. 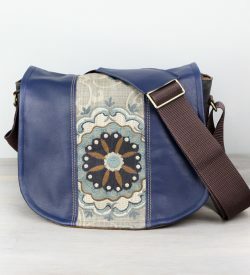 With plenty of time on my hands, I decided to create a stylish camera bag for myself that looked more like a purse or everyday bag that a typical woman might carry. 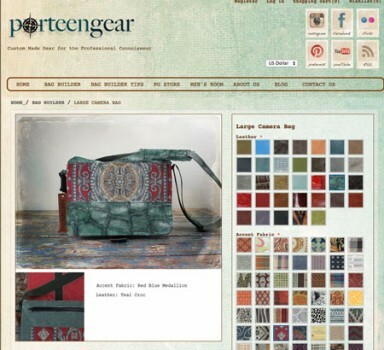 I was on unemployment, so I could not afford the beautiful leathers and tapestries that I had imagined in my head. That led me to the thrift store where I knew that I could find leather apparel to cut apart and use for the outside of my envisioned bag. I found a long black leather skirt! I also found a denim dress that was a beautiful olive green and with a trip to the local fabric store to get a zipper, some webbing and foam padding, the total cost of my first bag was around $20.00. 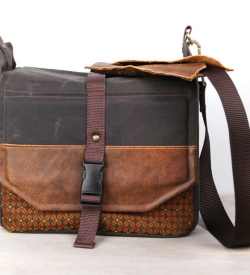 One of the first camera bags made with a leather skirt from the thrift store. I had some sewing experience in the past and had a sewing machine that had spent more years in various closets than in use, so I blew the dust off of it and started stitching my project together. 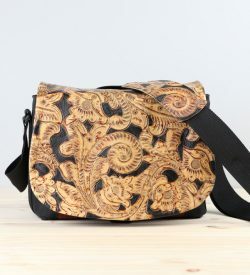 When it was done, it looked like a vintage, timeworn bag! Friends were amazed when I said that it was made from thrift store materials. 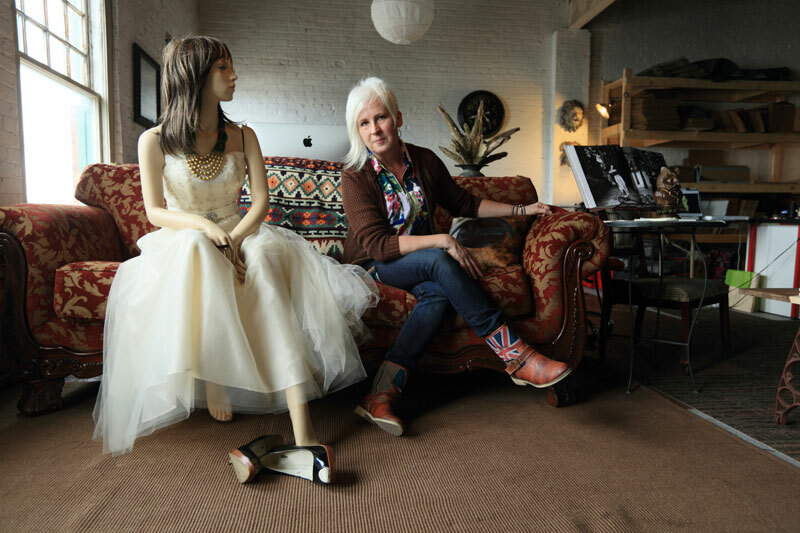 Someone suggested Etsy, an online marketplace for handmade items. 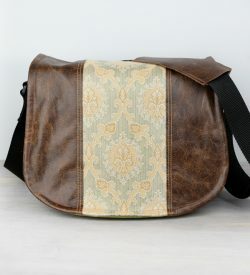 I photographed my bag and listed it on Etsy as a “pre-order” so I could make another one if someone was interested. It sold within 2 days. 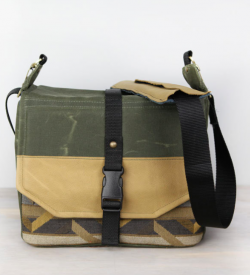 I sold 5 more within a week and started to research materials to make more bags. 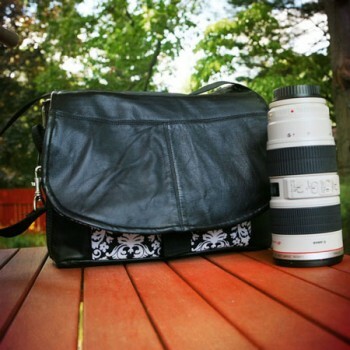 That was in June 2010, and by the end of December, I had sold over 700 camera bags! I realized the people like personalized bags that showcased their style, so I created the Design Your Own feature enabling a customer to create their own work of art. 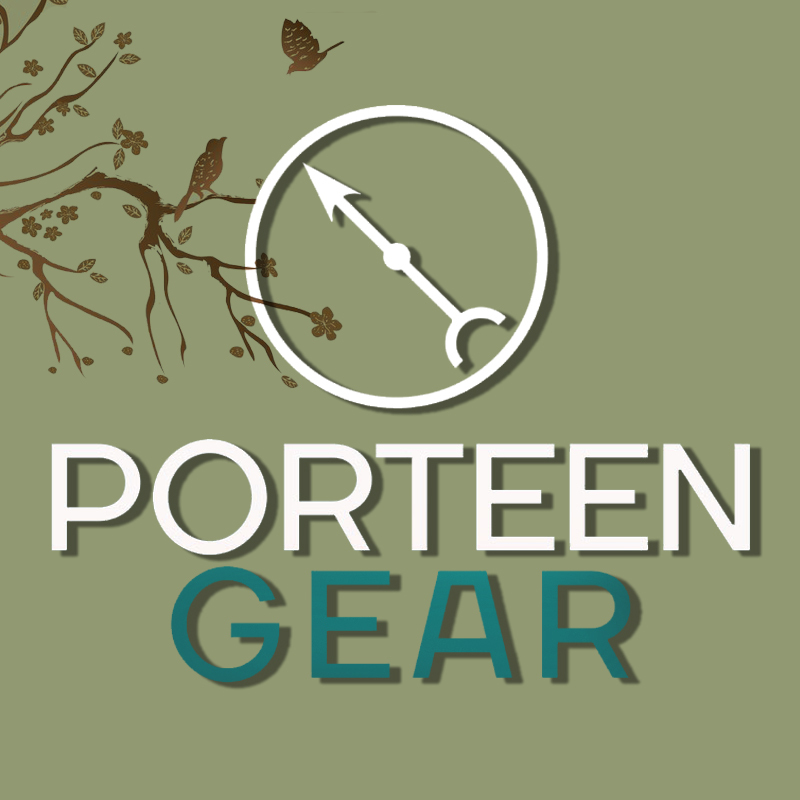 Fast track to 2014 and 7600 orders later, Porteen gear has been showcased in Shutterbug Magazine, United Airlines Hemispheres, Professional Photography Magazine, British Vogue and Conde Nast Travellers Magazine. 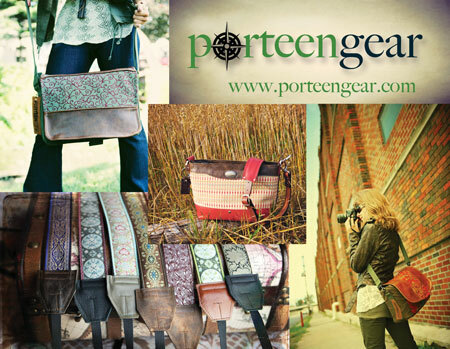 We have sold camera bags to over 60 countries with a wide global presence. So that one trip with an ugly black bag turned into a full time business and gave me the ability to hire friends that needed a place to work filled with creativity and comradery when times were tough in the US . I love what I do and love that I can inspire others to just follow your dreams to see where it takes you!